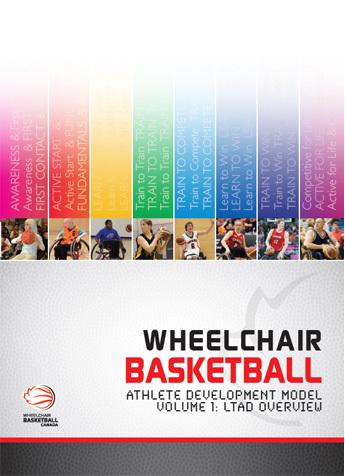 Apart from a few small modifications, the Wheelchair Basketball LTAD closely follows the seven basic stages of the LTAD model presented in Canadian Sport for Life (CS4L).  The first three stages are intended for all individuals who participate in physical activity and represent the process for acquiring basic physical literacy. Stages four to six, from Train to Train through Train to Win, represent the high performance option for athletes who wish to build on their basic skills and take their game to the highest competitive ranks. Athletes with disabilities pass through the same stages as able-bodied athletes, but chronological ages and rates of progress may differ depending on the type and degree of disability. In addition to these seven basic stages, two extra stages are identified for athletes with disabilities: Awareness and First Contact. These extra stages are particularly important for individuals with an acquired disability who, prior to injury or illness, may have had no contact with, and no knowledge of, sport and physical activity for persons with a disability. Sport opportunities for persons with disabilities are not always known, so people who acquire a disability may have no knowledge of what sports are available to them. The Awareness stage informs the general public and prospective athletes with disabilities of the available opportunities. The First Contact stage is where persons with disabilities have a positive first experience of the sport and remain engaged. Accordingly, wheelchair basketball groups need to develop programs that provide suitable orientation for prospective wheelchair athletes, helping them to feel confident, comfortable in their surroundings, and welcome among peers and training personnel. 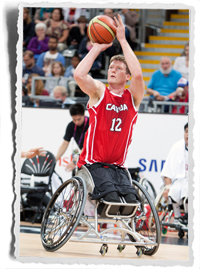 The Wheelchair Basketball LTAD recognizes that every individual chooses a different pathway in his or her quest to find self-fulfillment through the game. Wheelchair basketball by its very nature is a competitive game. 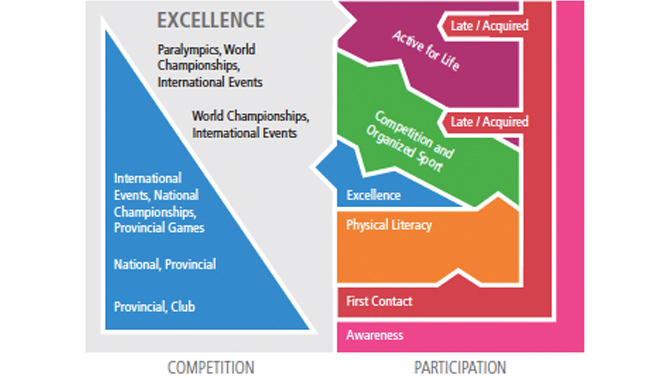 Through the LTAD process, athletes can find their place on a continuum from having fun learning and playing the game to competing for medals at the highest level of play. 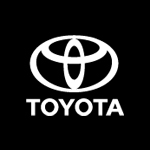 The Wheelchair Basketball LTAD stages are designed to provide wheelchair basketball athletes with age-appropriate skills training and competition at each stage of their maturation and development. Throughout the LTAD pathway, athletes have the right to choose where on the competitive continuum they wish to participate. 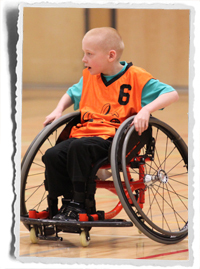 The first three stages of the Wheelchair Basketball LTAD focus on delivering the kinds of experiences in activity and sport that will develop physical literacy in all participants. 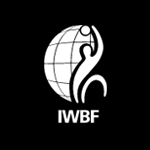 In accordance with the definition put forward by Canadian Sport for Life, physical literacy represents the mastering of fundamental movement skills and fundamental sport skills that permit a child to read their environment and make appropriate decisions, allowing them to move confidently and with control in a wide range of physical activity situations. Physical Literacy is the cornerstone of both participation and excellence in physical activity and sport.  Individuals who are physically literate will develop the skills and confidence to participate in a wide range of physical activity and sports throughout their lifetime. 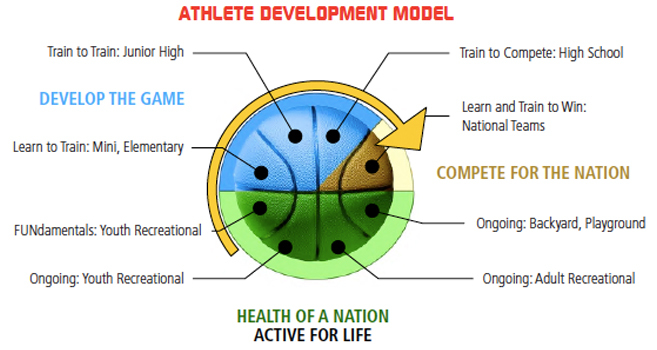 Through physical literacy, our children can hope to experience greater health and quality of life through their lifespan, while also acquiring the foundation skills to pursue competitive sport if they so choose. 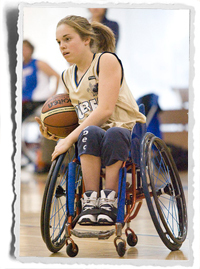 The next two stages of the Wheelchair Basketball LTAD focus on developing each athlete’s abilities in game play. The intensity and frequency of competition is increased, but not at the expense of a continued focus on fundamental skills. The next two stages of the Wheelchair Basketball LTAD involve athletes 18 years and older. All of their technical, tactical, physical, mental and ancillary skills and capacities should be fully established. The focus now is on refining all skills and capacities. Shorter periods of training at high level of intensity accompanied by frequent recovery breaks to avoid burnout are recommended. All successful players will have one thing in common – a love or passion for the game.  We must ensure that we provide an environment that allows players to get “hooked” on wheelchair basketball so we can retain them in the game and keep them Active for Life (A4L) or Competitive for Life after they retire from high performance play. 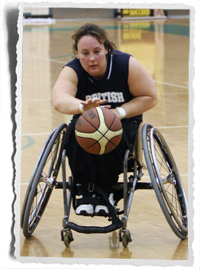 Wheelchair Basketball is first and foremost a sport. 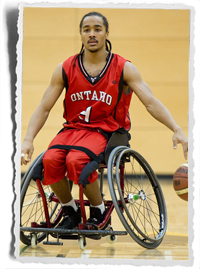 It is unique in that the piece of sporting equipment, the basketball wheelchair, allows individuals with disabilities to compete. However, this should not preclude able-bodied athletes from participating by playing in wheelchairs as well. Individuals who are able-bodied should be encouraged to participate at all levels where they are currently allowed. It is especially important at the early LTAD stages, and during the Active for Life stage, as there is a strong social component to engaging players in the game. By including able-boded athletes, a very strong social and educational benefit occurs. Individuals who are able-bodied view individuals with disabilities differently when they see them in a sport setting. They value individuals with disabilities for what they can do instead of what they cannot do because of the meritocracy of sport.  While individuals who are able-bodied cannot currently compete in the Paralympics, they can compete as high as the national championships in Canada.  Canada is a leader in this area.